Alongside the launch of AMD's new R9 285 series GPUs, AMD is refreshing it's FX series with higher performing and lower TDP FX variants. 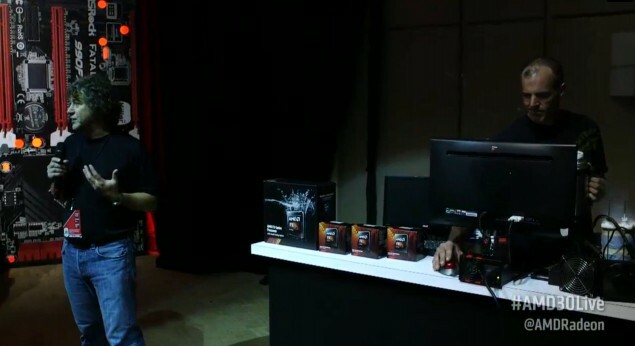 Read more on AMD's newest FX CPUs here. 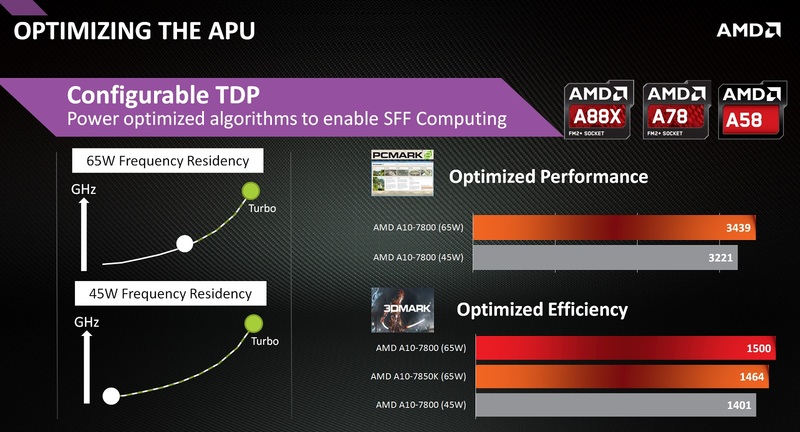 TBH if I were to go AMD I'd wait for the Stemroller Athlon K, it will have stronger cores and generally most things don't need more than 4 cores. I am glad however that we're not reporting on the AMD "Price slash" getting everyones hopes up, unlike other tech sites.. because they all fail to mention it's only a price cut for tray bought CPUs with a minimum order of 10 per tray. So not really any savings to be had unless your a e-tailer. I am ever so slightly confused by these 8370's .... if they are the same speed, 4.1/4.3 (which is pretty high, I must say) what exactly is different about the 8370E that gives it the 30w lower tdp? Is it just a matter of throttling, or is there a silicon difference, more than just better binned? My guess is either there going to be some severe throttling happening, because 30w doesn't just disappear from binning. Or maybe they were a little too generous with how they calculated the TDP. Maybe they combined throttling with assuming the E will have a different work scenario? Just a guess. But i'm positive that, being at the same price point, they're the same chip. From what was said in the stream, the E version doesn't stay at the boost frequency as long and will clock down faster when not under load, and potentially clock lower when not under load. still not that impressed with the TDP on these. i was hoping to see the highest speed ones be at 95w to be honest. that would have been much better for clocking. They can take a good deal of volts though them. but if you need a phase change cooler, and a 12+4 power phase board to get the most out of them that kind of prevents your target market getting the most out of them because they would be budget builders. im sure serious overclocks will be able to get some good numbers out of these things. but vs a 4 core i7 even at lower clocks i cant see them being the enthusiasts choice. Personally i think they needed to double the amount of fp units in each module (i wont call them cores) i know they have stated that its the integers that are importaint "so thats what they count as a core rather than a traditional core" and they could try to shorten the pipe lines. but so much more could have been done with these chips if they had just carried on from the phenom's core architecture. I hope they decide that these modules aren't really working for enthusiast cpu's and go back to the drawing board and start from the phenoms and just improve on that. because i would really like to see amd make an enthusiast cpu that has clock for clock and core for core performance on a similar level to intel. There really should not need to be a choice between a i5 and an fx-83xx cpu, if they are the same or similar price, honestly there shouldn't be a choice between an i5 and a fx-63xx cpu at the same price point either. but as it stands now. i would still get an i5 before an fx-83xx even if the i5 is a bit more expensive, which is a real disappointment. The only choice there should be is do i get an i5 or an fx-43xx (pay more for slightly better i5 performance) to be here thinking well i could get an fx-8370 or i could get an i5 and for the most part the i5 will do slightly better in the tasks i use it for is just a bit upsetting. What ever happened to "do i get a q6600 or a phenom x4 9500" days. i miss that kind of decision really was down to which one i could get cheapest. Dependant on what you do FX chips can still be competitive, especially at the price range. shame that said competitiveness is in pretty unique circumstances.